Christ Church, Geelong, is a church and parish "...associated with the earliest history of the Anglican Church in Victoria" . It predates the Diocese of Melbourne, its foundation stone having been laid in October 1843 by the then Bishop of Australia, William Grant Broughton, only seven years after the beginnings of European settlement in the region . The initial subscribers who supported the establishment of Christ Church included such significant figures in Victoria's history as Governor Charles La Trobe, Captain Foster Fyans, Charles (later Sir Charles) Sladen, Thomas Armytage, James Austin, Thomas Manifold, Ann Drysdale and J,B.Were, amongst many early settlers and professionals from Geelong and the Western District, and Melbourne itself . The first vicar, the Revd Ebenezer Collins, was appointed in 1846 and the Church, the only one in Victoria designed by the famous architect Edmund Blacket , was opened and dedicated on the 27 June 1847. The Church was further enlarged before it was consecrated on 25 October 1859 . Throughout its long history Christ Church has, and continues to be, a focus for Anglican life in the city, the site of many commemorative and community activities, and the place to which generations of citizens have turned for baptisms, weddings and funerals. Christ Church has been given an A classification by the National Trust (Victoria) (file number B1060), and is listed on the Victorian Heritage Register (file number VHR H186). 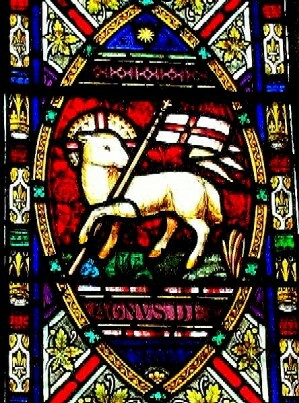 The National Trust has also classified the stained glass windows in the Church. Willis E, 2009, Statement of Significance – Christ Church Anglican Church, Geelong, November 2009, pp 3, 20 (hereafter the ’2009 Significance Assessment”). see also Bp. James Grant, Christ Church, Geelong 1843-1983. Willingham, A., 1986, Geelong Region - Historic Buildings & Objects Study, Volume 2, Geelong Regional Commission, Geelong, Sheet 162-163. Robin A. deQ, (1991), Anglicans In Geelong, Geelong Historical Society, Geelong; Association of Australian Decorative & Fine Arts Societies ("AADFAS"), 2006, Record of Church Furnishings, 2006.
. Minutes of Subscribers, 12th July 1841.
. Willingham, above n 3 at Sheet 163.
. Bp. James Grant, above n 2.